Please note that if river levels are high, or weather conditions poor, the Artful Dodger will not be able to operate. We have a number of ultra-safe boats for hire on the river. Powered by Electric outboard motors, they are each suitable for up to 4 passengers. 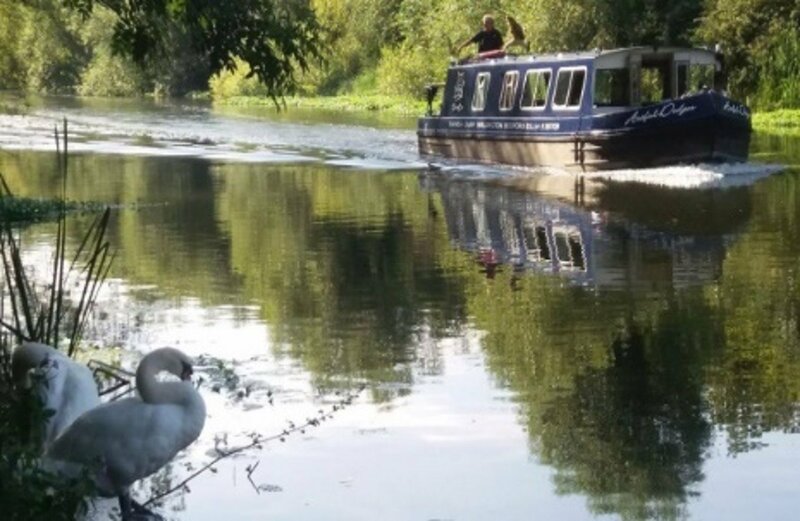 We provide buoyancy aids free of charge and the river provides a safe environment for bird and wildlife spotting and easy cruising for a minimum of 2 miles in each direction. There’s no need to book – just turn up!